Home » Site InSpections » What is the Best Way to Experience the Shrines of Quebec? 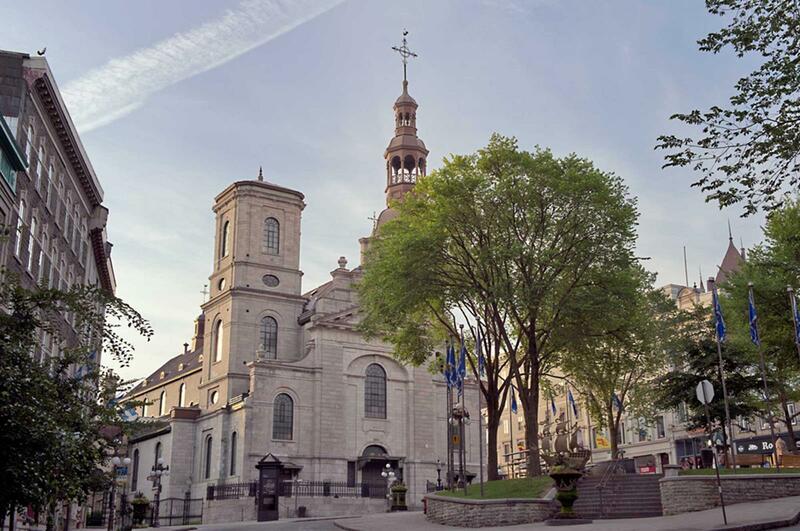 Hit the road and embark on a spiritual journey to visit the five beautiful treasures of Quebec, true tributes to the province’s religious heritage. A pilgrimage is defined as a long journey made to a sacred place to represent spiritual devotion. 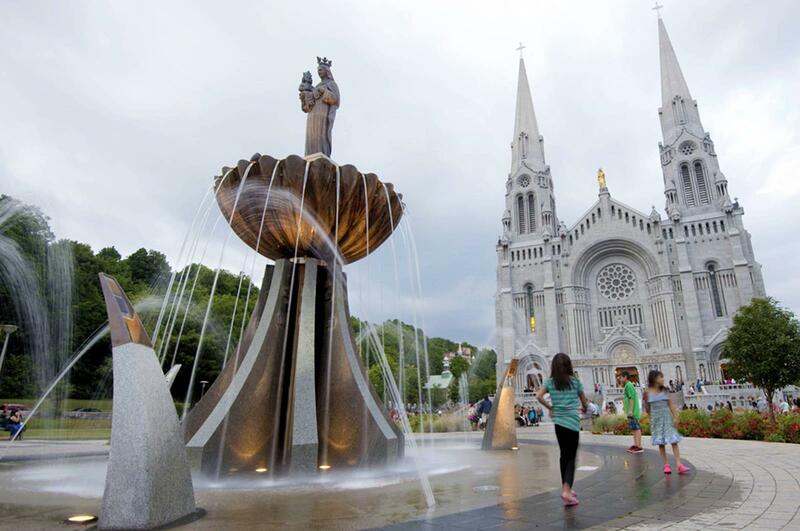 Millions travel to Quebec every year to visit its holy sites, many hoping to see all five of its revered shrines. Happily, this mission is not too difficult. The pilgrimage can be transformed into a religious road trip, taking tour groups along the Saint Lawrence River to these most immaculate shrines. Where Does the Music Play? 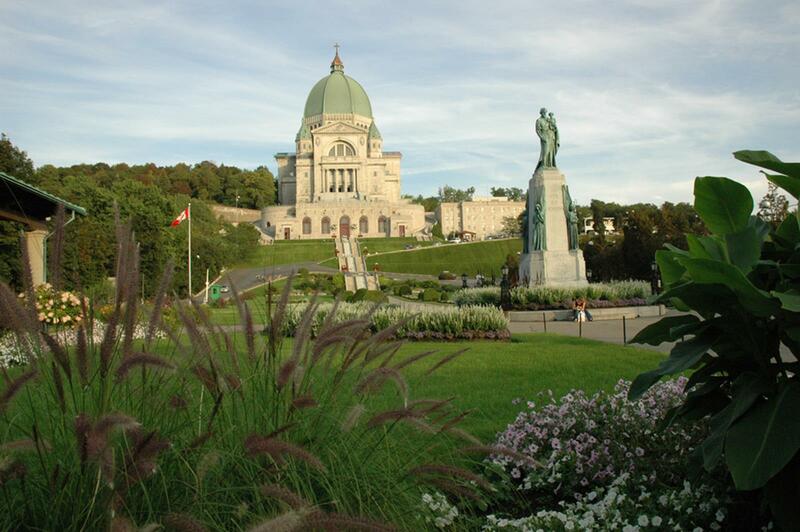 A short distance from downtown Montréal, beautiful notes from an organ can be heard at Saint Joseph’s Oratory of Mount Royal, the largest shrine in the world dedicated to Saint Joseph. Nestled atop the mountainside, the shrine has become a powerful symbol of the city. It is here where thousands come to pray, meditate and listen to wonderful music. 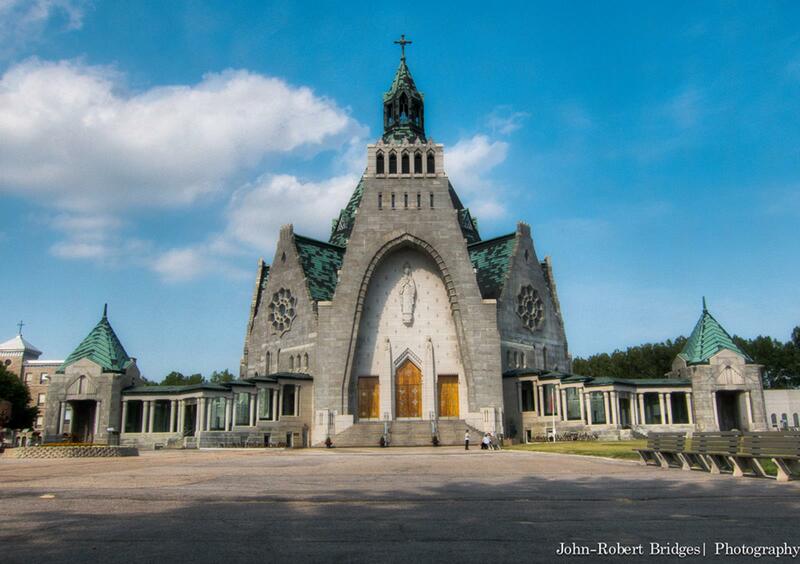 Founded in 1904, the Oratory was a dream of Saint Brother André. From humble beginnings as a tiny wooden chapel, the Oratory has risen to become an internationally renowned pilgrimage destination. It is noteworthy for its diverse architectural styles and well-kept gardens. If groups are visiting in the summer, the flowerbeds, trees and shrubs are a must see. Music holds a special place at the Oratory. Les Petits Chanteurs du Mont-Royal and the musicians that play the Beckerath organ, Cassavant organ and the Paccard carillon perform musical services for attendees and visitors. For a truly moving experience, try to catch one of the religious ceremonies or concerts at the Oratory. Where did the “Prodigy of the Eyes” Occur? The Blessed Mother’s presence is felt at Our Lady of the Cape Shrine, the second stop on the shrine path. It was here where witnesses claim to have seen the eyes of the statue of the Virgin Mary open. The miracle was called “the prodigy of the eyes” and marks the official beginning of the shrine. News of the event spread quickly, drawing great numbers of pilgrims to the banks of the Saint Lawrence River to pray to the Virgin Mary. Today, hundreds still journey here to admire the incredible pyramid-shaped dome and immaculate décor of the Basilica. Take a seat in any of the pews, and you will get an uninhibited view of the nave, framed with concrete arches atop massive pillars. Guests can step outside to the see the historically significant small church, or “The Old Shrine,” made out of fieldstones. Inaugurated in 1720, it is one of the oldest churches in Canada. Where is North America’s Holy Door? In the heart of Quebec City, that’s where. 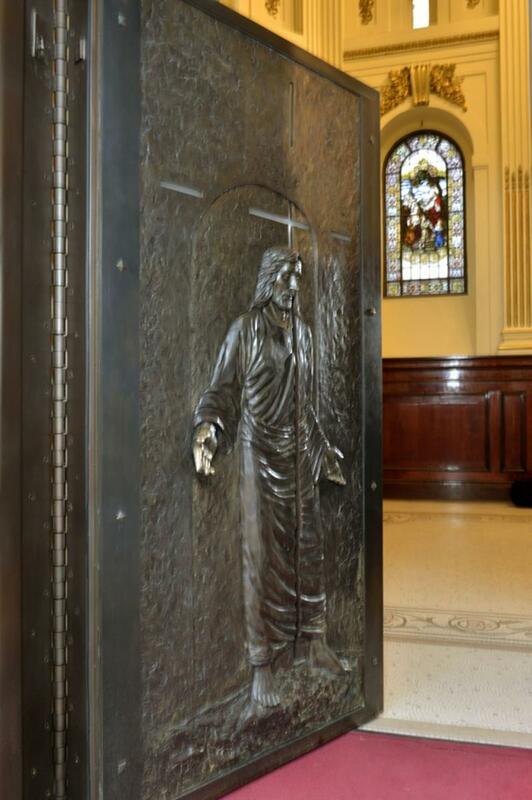 Situated on the north side of Notre-Dame de Quebec Basilica-Cathedral, it is the first Catholic Holy Door outside of Europe. Dating from 1664, the Cathedral stands out from the crowd as the first cathedral to be founded north of Mexico. It has been named a National Historical Site and was named to the UNESCO World Heritage list. 2014 marked the 350th anniversary of Notre-Dame, and, in honor of the jubilee year, the Vatican sanctioned a Holy Door to be placed there. It is one of only seven worldwide, with four in Rome, one in France and one in Spain. It is said that anyone of “good will” can pass through the Holy Door. At the end of the year, the door was sealed and will not be opened again for 25 years. The door is now an object of devotion for pilgrims, contributing another important piece of history in this already noteworthy cathedral. After visiting the Holy Door, groups should take time to admire the magnificent stained glass designed by the Meyer House of Munich. The cathedral is also home to three majestic Cassavant organs. How Can You Walk in the Footsteps of Jesus? 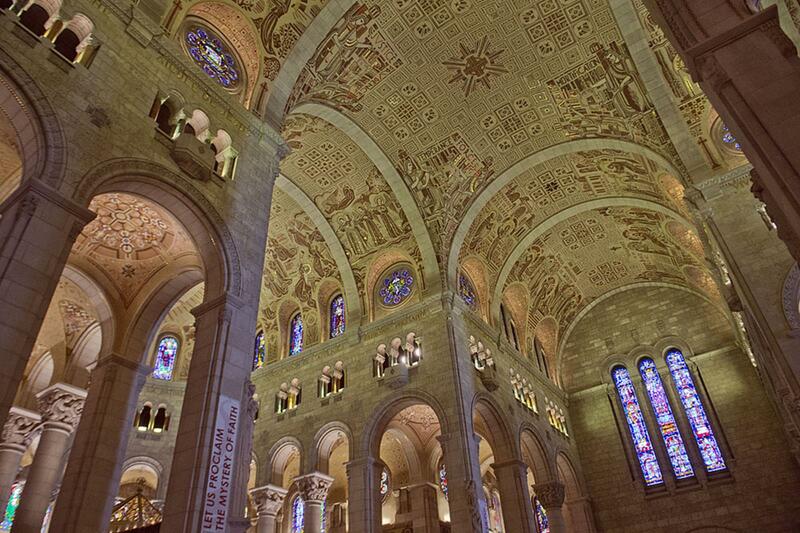 A quick 20-minute drive outside of Quebec City is the Shrine of Sainte-Anne-de-Beaupré, the second oldest pilgrimage site in North America. 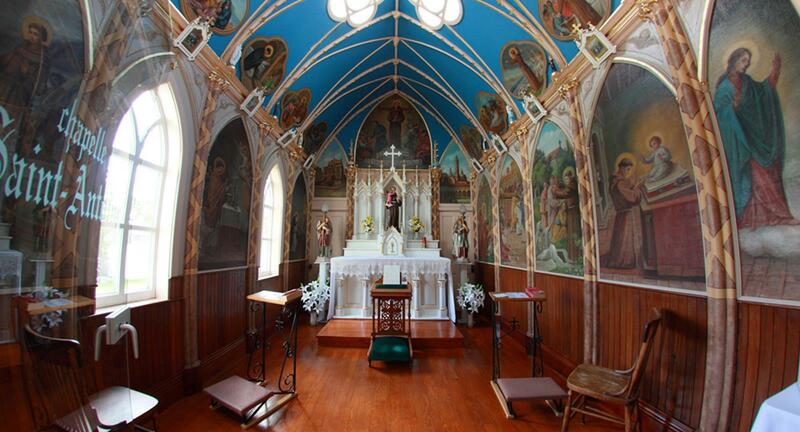 It began as a small chapel built in 1658 to house a statue of St. Anne. In the first year, a crippled workman was cured and the deliverance of a group of sailors from a storm soon followed. Miracles and healings attributed to the statue continued throughout the centuries, drawing more pilgrims to the chapel. Today, visitors can peer inside the ex-voto chapel, which is filled with crutches, canes and old wheelchairs that are no longer needed. The basilica is part of a larger shrine complex, which includes a replica of the Scala Sancta (Holy Stairs) in Rome, which, according to tradition, were the steps leading to the praetorium of Pontius Pilate on which Jesus Christ stepped on his way to trial. Visitors to the stairs in Sainte-Anne de Beaupré honor Jesus by climbing the steps on their knees. A key focus for most pilgrims is the miraculous statue of St. Anne, carved from a massive single piece of oak, painted multiple colors and topped with a gold crown with diamonds, rubies and pearls. Where can you Find Spiritual Tranquility? 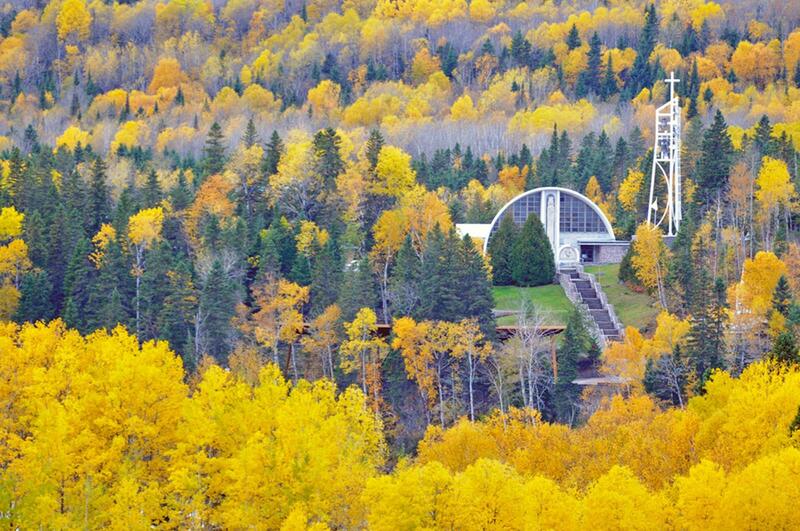 Nestled in the Saguenay-Lac Saint-Jean region, Saint Anthony’s Hermitage of Lac-Bouchette is the final stop on the spiritual road trip. It is not only admired by pilgrims, but also by people seeking natural beauty and tranquility. Founded in 1907, it is the youngest of the shrines. Despite its novelty, the shrine has gained much recognition, calling thousands to a pray to both Saint Anthony and the Virgin Mary. Groups can take part in guided tours of the shrine, where they will visit heritage buildings, the museum and works of art. Those interested in Mother Nature can take to the walking trailsor trek the challenging Kapatakan Trail—a 133-mile Compostela-style pilgrimage. Given its location in a lush wooded area, the shrine boasts an ideal landscape. Horticulturists grow all the flowers and plants every year, and place them in the gardens and flowerbeds. The trees and shrubs provide visitors with a sense of quiet and calm, and they can even take flowers home, forever keeping a piece of their personal journey. 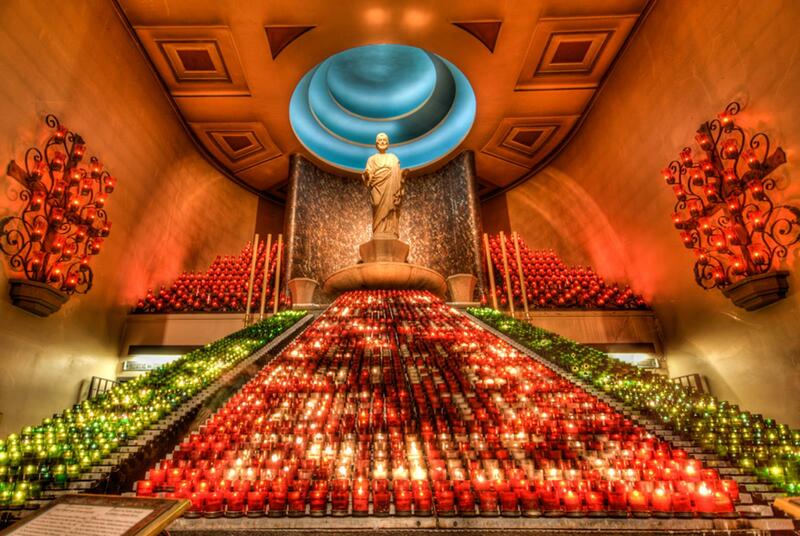 Quebec’s shrines inspire millions every year. They showcase the power of prayer and the great lengths people will go for their faith. On a map, they are merely dots; in real life, they are so much more.